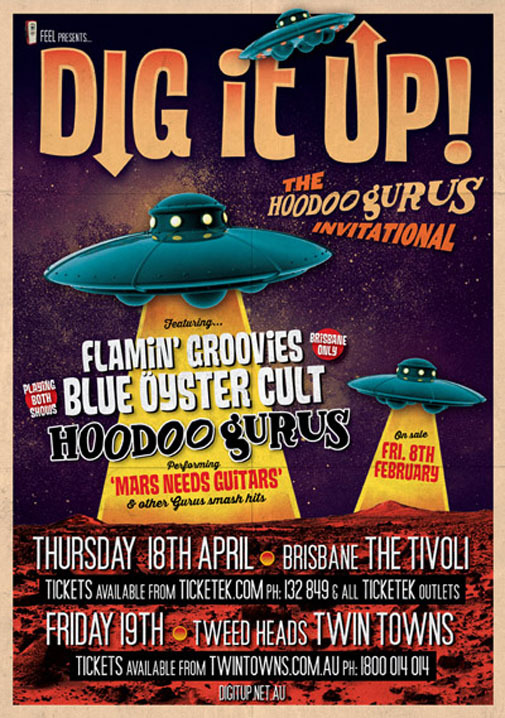 Featuring Hoodoo Gurus, performing Mars Needs Guitars in it’s entirety (plus other smash hits) + Blue Oyster Cult & Flamin’ Groovies. 52 Costin Street, Fortitude Valley. Tickets on sale from Ticketek and Oztix.